Does a student need a cell phone in school? "Cyberbullying" is when a child is tormented, threatened, harassed, humiliated, embarrassed or otherwise repeatedly targeted by another child through the use of computers, cell phones, or other electronic devices. 5. Ask your parents/guardians to contact the bully's parents, if you know the person, and think this may help. Both groups of parents might see this as a courtesy instead of calling the police, particularly if the bully and bully's family are/were friends at one time. This may be fruitful in that the suspected bully may give up names of others involved. *Be careful on this one. This may solve the problem with understanding parents. But nobody wants to believe their child does dumb or criminal things (even when they are guilty)! Be prepared for possible hostility and defensive behavior from the bully's parents. "The kids were just kidding around" is a common response. Could this be true? If your parents make the call, it should become clear that you and your parents don't think it was a joke! *Be prepared to accept responsibility for any part you may have played in cyberbullying . Sometimes "friends" tease each other until one of them decides it is no longer funny or one of them crosses the line and makes a serious threat. Be able to explain this when questioned, and don't let this stop you from reporting a threat! *Just suspecting someone or thinking it is someone that you aren't friends with isn't proof. Save messages, e-mails, photos and other items like saved caller ID numbers to provide proof of the identity of the cyberbully. Be prepared for the cyberbully denying that s/he actually said anything offensive. Text messages, voice messages, e-mails and photos are proof. 6. Contact the police or have your parents/guardians contact the police if cyberbullying involves threats of violence, extortion, obscene or harassing phone calls or text messages, harassment, stalking, hate crimes or any other thing that may be illegal. Let the police decide if the communication is a prank or a real threat. Parent/Guardian Idea: Read through this article and the other related ones with your children. 1. If you are being cyberbullied , you should tell your parents/guardians. You may be dealing with a person who is just acting weird or someone who has severe mental/emotional problems and could be dangerous. Get help from an adult to help you figure this one out. +If you feel uptight or threatened by the cyberbully(ies), you can also talk with your teacher, guidance counselor, school nurse, principal or some adult at school who you feel comfortable conversing. Your clergy person might be another source in which to confide, along with any counselors or other adults that you see professionally (psychologist, counselor, social worker) on a regular basis. They may be able help you deal with this problem, develop a plan to prevent future problems from happening or direct you to someone that can help you. In any case, TELL YOUR PARENTS. +There are also bullying Hot Lines to call for information. I won't list any here because some are local or not available in certain areas. Use your search engine to find one in your area or ask your school counselor, teacher or principal for the number. 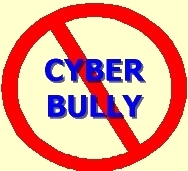 +If you are a parent, encourage your child not to respond to the cyberbullying. Unfortunately, when children respond with threats of their own, it complicates the matter. It becomes a "s/he said this, but you said this" situation. 8. Caution: Those messages and photos that you send to one person, may be passed on to others. A good rule is: Dont say anything or send any messages or photos to anyone that you wouldn't send to your parents! Not all people are your friends , and some things could come back to haunt you. That close personal friend that you told all those PERSONAL secrets to (including your passwords, unlisted phone numbers, combinations) may become your worst enemy. THINK AHEAD! 9. Caution: Not all online conversations are private. Others can copy, print and share what you write or any photos you send. 10. Caution: That person who writes that s/he is 14 yrs old might be a 50 yr old. S/he may post a photo copied from the Internet or of a relative/neighbor. If you think this sounds creepy --it is! 11. 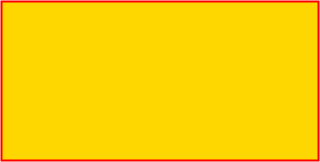 Do NOT give out your real name, address, phone number, school and other personal information when using chat rooms and other shared communications. This makes it easy for someone to track you down or stalk you . It may be the one who you are chatting with or someone listening or observing your conversation . 12. Parents: There are software tools with the ability to immediately communicate and document any threats or cyberbullying your children experience when online. 7. Caution: 3-WAY-- Are you being set-up or baited by someone who doesn't like you, but pretends to be your friend? 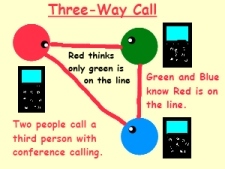 Sometimes a so called "friend" might call you using 3-way calling. That "friend" gets you to talk about another person, and encourages you to say nasty things about him/her. Meanwhile, the other person is connected to your conversation (via a conference call) and can hear everything you are saying. Green gets Red to talk about Blue. "I heard that she is using drugs and stole her parents' car." 2. Do not erase or delete any cyberbullying messages, texts, threats, e-mails or photos; save them as evidence of harassment and for the police, if this incident goes that far. 3. Try to identify the person(s) doing the cyberbullying. Even if the cyberbully is using a phony name or someone else's identity, your Internet Service Provider may be able to track them with the police. If it is through your cell phone (most have caller ID), the phone company may be able to track the cyberbully and give this information to the police. If you are cyberbullied through chat or instant messaging, the action may be able to be blocked. 4. If cyberbullying occurs while you are in school or if the person is using school equipment, inform the school official (teacher, principal). Some schools have a zero tolerance policy on any type of threat. This means every threat will be taken seriously: Even if a student is just "joking" and messages something like "I'm going to kill you." This is a reminder to choose your own words wisely! Cyberbullying includes text messages or emails, rumors sent by email or posted on social networking sites, and "embarrassing" pictures, videos, websites, or fake profiles. In our discussion of cyberbullying, we assume both parties are children (minors). If an adult is involved in harassing a child, it is called cyberharassment or cyberstalking (and a few others) and is a serious crime. Cyberbullying is sometimes thought of as making hurtful, rude or embarrassing postings or communications, but can become more serious and involve criminal charges. When it involves a death threat or a credible threat of serious bodily harm, it can become a criminal offense regardless of age.